First came Tartan Noir – a gritty form of crime fiction said to be particular to Scotland and Scottish writers but which borrows from American crime writes of the second half the twentieth century. Then Nordic Noir was born, taking us into bleak landscapes, dark moods and moral complexity with authors like Henning Mankell, Steig Larsson and Arnaldur Indriðason. There’s even Irish Noir which covers a broad range of crime writing by Irish authors, from historical crime fiction set in Belfast to modern procedurals engaging with first world problems and psychological thrillers. Even if you subscribe to the view held by a number of authors and critics that these terms are meaningless and little more than marketing gimmicks, the reality is that they sell books. And in doing so they’ve helped raise the profile of many authors. But so far there’s no sign of Welsh noir. In fact about Welsh crime writing in general there’s been hardly a peep. And yet there’s a growing number of crime fiction authors based in Wales or who choose to set their work in the country. Why haven’t you heard of them? Partly I suspect because many of these authors have associations with small, independent publishers who don’t have as much sway with the purchasing teams in large bookstore chains. Nor do they have the kinds of budgets necessary for national ( UK-wide) promotion. Even trying to get attention within Wales is tough when the so called national newspaper of Wales The Western Mail, pays scant attention to arts coverage and still less to book reviews. But there is a group of writers resolved to change how Welsh crime fiction and non fiction is perceived. Crime Cymru was formed in 2017 to promote Welsh crime fiction with a mission to challenge the perceived belief that that ‘nobody who wants to be read sets their books in Wales’. Crime Cymru started with just three members: Alis Hawkins, Rosie Claverton and Matt Johnson. But it’s grown to become a consortium of more than 25 authors. Some were born in Wales. Others have chosen to settle here. Some members live in the UK or further afield in North America but chose to set their work in Wales. What unites them is their feeling that Welsh crime fiction has a unique dimension that deserves more attention. In support of their objective of promoting Wales and Welsh crime writing, Crime Cymru members have carried their message direct to readers via appearances at a number of literary festivals and a Coffee and Crime Weekend partnership with the county library service in the capital city of Cardiff. They’ve even taken the battle across the border, to Bloody Scotland – Scotland’s premier crime fiction festival. Future plans include the establishment of a crime writing competition in line with another of the group’s other objectives – to help nurture new writing talent. Alis herself is suiting her actions to Crime Cymru’s words this May. To celebrate National Crime Reading Month and to publicise both Crime Cymru and the publication of the second in her Teifi Valley Coroner series, Alis – supported by local Crime Cymru members – will be visiting every independent bookshop in Wales – 32 at the last count. The Crime Cymru authors cover a wide variety of styles and interests. They range from Cathy Ace whose Cait Morgan Mysteries feature a globetrotting sleuth who is a professor of criminal psychology to Philip Gwynne Jones who writes thrillers from his home in Venice. I’ve read a few of the group’s members although I wasn’t aware that Crime Cymru’s existence at the time. Following shortly will be my review of None So Blind, the first book in Alis Hawkins’ series featuring a coroner in nineteenth century Wales. I’d never read anything by Lisa Jewell until this year. I know she has a large fan club but she never appealed to me. I read this only after significant badgering from a friend who is a devotee…. Then She Was Gone is set ten years after a teenage girl goes missing one day when she was on her way to the local library. Ellie’s disappearance led to a divorce and the break up of her family. Her mum Laurel is living a half life, never feeling she can move on while the mystery of her daughter’s disappearance is unresolved. Then she meets a charming man who makes her feel there is hope. He has a nine year old girl who has a remarkable resemblance to her missing daughter. It proves to be the first in a sequence of coincidences. Questions come flooding back to Laurel. She has to know the truth no matter how painful this may be. I’ve seen this book described as gripping and heart-breaking. I didn’t experience either of those emotions myself. I’m afraid I guessed the secret at the heart of the book a long way before its ending though it was interesting to observe how Lisa Jewell manipulated the plot to send her readers down several blind alleys. Then She Was Gone was a perfectly acceptable story and told cleverly through different narrators (the identity of one only becomes apparent a long way into the novel). It just wasn’t that special. This is the latest in a long running series featuring Detective Superintendent Roy Grace, based in the seaside town of Brighton. I’ve not read all of them so I rely on my dad to fill in the blanks about Roy Grace’s personal life (his wife disappeared on the day of their wedding anniversary). What always impresses me with these novels is the insight into police procedure that James provides. He does extensive research to ensure his story lines are feasible and the actions of Grace and his team are accurate. Roy Grace himself is based on a real life former Detective Chief Superintendent in Sussex Police, David Gaylor, who works closely with James on his books. But James also does the rounds with police officers, attends conferences and has lunch with ex convicts. In Dead if You Don’t I was fascinated to learn how emergency calls from the public are handled when they come into the operations centre. But the biggest eye opener was that patrol car teams on night shift duty like to play jokes on other drivers by deliberately driving below the speed limit and and seeing who is afraid to overtake. As is always the case with Peter James, this book has a multi-stranded plot. There’s a suspect device planted at the local football ground during the home team’s biggest match of the season. Then the teenage son of a local big shot financial advisor is kidnapped; a drugs mule dies at Gatwick airport from an overdose and body parts are discovered at another location in Brighton. Somehow they are all connected to a fight for control between the members of a large and powerful criminal network. If you like high octane drama filled novels, this will definitely fit the bill. How long can a series endure before it runs out of steam? When we reached book ten of this series however I did wonder how much further Penny could go with this set up. She settled all my doubts with book eleven A Great Reckoning (my review is here). But she’s just published book number 14 and it saddens me to say that my earlier doubts have resurfaced. I so wish that wasn’t the case because the fact that Kingdom of the Blind was written at all is a testament to Penny’s resilience and courage. Penny’s husband Michael, who was the inspiration for Armand Gamache, died in September 2016. In the introduction to Kingdom of the Blind, Louise Penny says she didn’t feel she could write again after his death. “How could I go on when half of me was missing? I could barely get out of bed,” she said. But one day she found herself at the dining table where she always did her writing. The first day she wrote just two words — the name of her protagonist. The next day the word count trebled and kept on increasing day by day. Kingdom of the Blind was begun. Not with sadness. Not because I had to but with joy. … Even as I wrote about some very dark themes, it was with gladness. With relief. That I get to keep doing this. The darkness she mentions relates to one of the two major plots in the novel. A new ultra powerful, ultra dangerous, opioid drug is about to hit the streets of Montreal. The finger of blame is pointed at Gamache who allowed a large cache of the drug to escape seizure during a major drugs raid. As a result he’s been suspended from his role as Chief Superintendent of the Sûreté du Québec, pending an internal investigation. Then one of his proteges at the police academy, the rebellious cadet Amelia Choquet, is discovered with drugs in her possession. Against this background Gamache receives a letter summoning him to a dilapidated house in a small rural village. There he discovers he is one of three people named as executors in the will of a woman who called herself The Baroness. Gamache has never met her, has no idea why she should have entrusted her last wishes to him, a retired psychologist (his friend Myrna Landers from Three Pines) and a young accident-prone builder from Montreal. It’s not long before a body is found and Gamache’s suspicions are aroused. Penny hasn’t lost her gift for evoking the spirit of the Quebec countryside and its fierce winters. Early in the novel a winter storm descends upon Gamache and the village of Three Pines; a metaphor for the turmoil that threatens to engulf the police chief. But these villagers take the weather in their stride; it’s just an excuse to indulge in their favourite foods (a word of warning – reading this book will get you salivating for tarte tatin and cafe au lait) or to head to the village bistro for a gossip. All the usual people are in evidence in Kingdom of the Blind: Gamache’s wife Reine-Marie, his son-in-law and assistant Jean-Guy Beaulieu, the artist Clara Morrow, bistro owners Gabri Dubeau and the poet Ruth Zardo. Gamache is more introspective in this novel than in all the previous titles. He’s always been conscious of his failings, following a code of conduct based on the philosophy of Marcus Aurelius. He advises his junior officers to take on board four statements: I don’t know. I need help. I was wrong. I’m sorry. In Kingdom of the Blind he seems more vulnerable, more weighed down by ghosts from the past. … he remembered … all the raids, the assaults, the arrests. The investigations over the yers. The victims. All the sightless, staring eyes. Of men, women, children whose murder he’d investigated. Over the years. Whose murderers he’d hunted down. All the agents he’d sent, often led, into the gun smoke. There’s a sense in Gamache’s mood — which is reflected in some scenes at the end of the book — that he is facing significant changes in his life and his career. Without giving the game away for people who have yet to read this book, the nature of those changes make me wonder how it’s going to be feasible for Penny to continue this series. The inheritance plot of Kingdom of the Blind wasn’t one of her best, another indication for me that the series is reaching a natural conclusion. Even so it is still superior to many of the crime novels currently in circulation. I could be wrong. Louise Penny surprised me once before. She could do it again. This week’s Bookends post features an author whose books about a fictitious community in Quebec, Canada have become a favourite. I’m also giving you a challenge to name which author you would choose if you could read only one author for the rest of your life. I’ve posted multiple times in the last few years about Louise Penny and how much I enjoy her series featuring Armand Gamache, Head of Homicide at the Sûreté du Québec. There is another Gamache novel due out from Little Brown on November 27. But it isn’t the only menace Gamache is facing. In the last novel Glass Houses he was suspended from his role as Chief Superintendent of the Sûreté du Québec, pending an investigation. That investigation has dragged on, and Armand is taking increasingly desperate measures to rectify previous actions. One thing you can be sure of with Louise Penny is that this novel will have a strong plot. What interests me far more than that however is the way she has developed the character of her protagonist. He’s a very thoughtful man with a good understanding of human nature (how many other detectives do you find quoting Marcus Aurelius?). He makes mistakes but also has the humility to accept when he is wrong. I wish I could get to the book club meetings that Anne at Cafe Society talks about on her blog because they have such interesting and thought-provoking discussions. In one recent meeting she says “someone asked whom we would choose if we could only read the works of one author for the rest of our lives.” Some choices were inevitable: Dickens and Trollope. In her recent post, Anne reflected on the criteria for her own selection. I’ve been thinking about this on and off since I saw her post. It’s not an easy question at all. I have many authors I consider favourites but if they were the only author I could read, would they be enough to sustain me? I’m coming around to putting Emile Zola as my choice – his novels are strong on plot but they are even stronger on ideas. There are 20 of them in his Rougon-Macquart series covering multiple aspects of life in 19th century France – from alcoholism, prostitution, industrial disputes and poverty to the birth of the department store. Plenty of variety to keep me engaged. Now my challenge to you all – what would your choice be? And of course, why? A couple of days ago I heard of a rumpus involving Abe Books which is an online book re-seller owned by Amazon. Apparently Abe decided it would no longer list booksellers from the Czech Republic, South Korea, Hungary and Russia. The company didn’t really explain its decision beyond the fact it was changing to a new payment service provider. What they never anticipated was the reaction. Hundreds of secondhand booksellers around the world united in a flash strike against Amazon. More than 400 booksellers in 26 countries not affected by the decision retaliated by marking any of their stock listed on Abe as being “temporarily unavailable”. Such was the strength of opposition that Abe has now backed down. I suspect that the senior management at Amazon stepped in when they saw what was happening. Read about the issue here and here . What struck me about this scenario was that it was all completely unnecessary. The objectors didn’t question the right of Abe to make a commercial decision about how to operate its business. 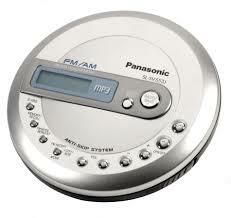 But they did object to the way this was implemented. Little warning given to the booksellers who would, as a consequence, see their business severely impacted. Little consideration given to the fact this would mean a loss of jobs. If Abe had been less high-handed and insensitive they would not have faced a protest that has damaged their reputation. It’s a lesson that all big companies need to understand. Treat your customers and business partners with respect and they will remain loyal. Disregard them at your peril. If ever I needed reminding that I have led a (mercifully) sheltered life, I just have to pick up a crime novel. Some of the scenarios dreamed up by the authors working in this genre are not only out of my realm of experience, they don’t even figure in my knowledge bank. Until I read Doll Face, the second title in Dylan H Jones’ Tudor Manx series, I was blissfully unaware for example that there is a certain section of the population that likes to step into rubberised full body suits whenever they feel like adopting a new persona. Living Dolls … A subculture of men who like to dress like dolls. They wear body suits, masks, anything that makes them more feminine. I have to believe that Jones has done his homework and not only do such people walk this planet there are businesses that supply their needs. What a way to make a living! The habit provides the title of Doll Face, and is responsible for some thoroughly creepy moments. I read the first novel in this series — Anglesey Blue — last year and enjoyed it as you can see from my review . I wasn’t the only one. It was long listed for the Guardian’s ‘Not the Booker Prize’ 2017 and occupied the #1 Best Seller spot in Welsh Crime for a time. Not bad for a debut novel. I wondered at the time how this series would progress. It’s hard enough to write one successful novel but coming up with an equally good second in a series is tough. In an interview I did with Dylan Jones he said his plan was to set each book in a different season with his central character, Detective Inspector Tudor Manx, wrestling with his decision to return to his native island of Anglesey in Wales. Though Doll Face takes place in Spring, a season associated with hope and growth, it feels a darker novel to me than the winterly Anglesey Blue. It’s set three months after the first novel with Manx’s detective skills called upon when a body of a young woman is found horribly mutilated. Then gruesome video footage comes to light showing details of how she was murdered. Suspicion falls on her nasty ex husband and on her employer, the millionaire tech-entrepreneur Kimble McLain. McLain is such a big cheese and philanthropist that the high-ups in the police force want Manx to go cautiously. But of course this is a guy who doesn’t understand the word ‘no’. Besides, when another similarly mutilated body is discovered, it quickly becomes clear that there could be a serial killer on the island. The investigation takes Manx into the world of religious fanaticism and child abuse. Some of the threads from the earlier novel make a return in Doll Face. There’s the disappearance of his sister many years earlier which continues to haunt Manx. There was a cliff-hanger at the end of Anglesey Blue which I thought would have been picked up in this second novel but we didn’t get much further forward on that plot line. But there was a significant development about the hitherto hinted-at reasons why Manx left his previous job with the London Metropolitan serious crime division under a dark cloud of suspicion. The inspector’s strained relationship with the forensic scientist Ashton Bevan is also shaping up nicely while we got to know more about the two key members of the team: policewoman Delyth Morris and Falklands’ War veteran Detective Sergeant Maldwyn Nader, who is suffering from PTSD. I’m warming to them both as well as to the cigar smoking, sports car driving inspector. Maybe by book four one of the women on the island will have persuaded Manx that it’s time his fashion sense came into the twenty-first century. An entertaining read with plenty of twists and dangling threads to keep you reading. It can be read as a stand-alone novel though it you want to get under the skin of Anglesey, it would be worth reading Anglesey Blue also. About the Book: Doll Face by Dylan H Jones is published in March 2018 by Bloodhound Books. About the Author: Dylan H Jones is a native of Anglesey so he knows a thing or two about the island, its landscape, language and people. He has worked in television and the creative industry, as a producer at the Welsh TV Channel, S4C before becoming creative director at Channel 4, London. In 1999, Dylan moved to California where he worked a copywriter in LA, writing movie trailers and TV ads. More information is available on his website and in a Q&A with Dylan Jones on this blog site in which he talks about the choice of Anglesey as a setting and his plans for the series. Why I read this book: It’s a great opportunity to showcase the writing from my native country of Wales. Thanks to Dylan Jones and to Bloodhound Books for providing me with an advance copy of Doll Face in return for a fair review. The revival of interest in crime classics from the Golden Age of (the 1920s and 30s) continues unabated it seems. The British Library decision to publish hitherto neglected titles from that era was a smart move, coming just as book pundits began to detect a desire by readers to move away from dark modern thrillers. Whether the interest in the Classic Crime series (now 20 titles and growing) was really a reaction to the complexity of modern life and a yearning for the ‘simpler’ life of the past, is debatable. It may be that the interest in the Golden Age will be short lived but for now, it’s definitely on the rise. Miss Christie Regrets by Guy Fraser-Sampson harks back to that era but also brings it up to date with a whodunnit trail involving espionage and a threat to national security. It doesn’t slavishly follow the conventions of the Golden Era detective story (no locked room mystery here for example or English country house setting) but it acknowledges its heritage with multiple references to the leading practitioners of the genre like Marjorie Allingham and of course Agatha Christie. This is the second title in a series set in the Hampstead area of London and the police station serving that suburb. It features some of the same characters of the earlier novel Death in Profile; in particular Detective Superintendent Simon Collinson, the psychologist Peter Collins and Detective Sergeants Bob Metcalfe and Karen Willis. It begins with the discovery of a body at an art gallery/museum, with our old friend the blunt instrument soon identified as the murder weapon. There are a few obvious suspects including the caretakers of the building though the security system was so lax anyone could have walked in from the street and done the evil deed. The police team are already struggling to make much progress when a second murder victim is discovered in the basement of an iconic apartment block which boasted illustrious tenants including Miss Agatha Christie herself. Collinson is convinced the two cases are connected even though they happened some 60 years apart. He’s also convinced Miss Christie somehow holds the key to the mystery. He’s not able to make much progress however until Special Branch begin to reveal some of their secrets. I won’t give the game away much further other than to say the trail uncovers connections that the intelligence service have sat on for decades. It’s a plot that’s not fiendishly difficult but has enough complexity to keep me guessing until the final stages. Miss Christie Regrets has a satisfying quota of dead bodies though they happen off stage as it were and are not described in any gory detail and plenty of red herrings. Ultimately it’s a straight forward police procedural murder mystery in which the detectives reach a solution not through sudden ‘light bulb’ moments but by meticulous attention to detail and protocol. Good old fashioned detective work I suppose one could call this. Burgh House sits rather smugly in New End Square, as if well aware of the fact that it is both one of the largest and also one of the finest houses in Hampstead. These glimpses were tantalising. I’d hope that as this series progresses and the characters are given more depth that more emphasis is also given to portraying the unique character of Hampstead. I would have welcomed more of that element and less of the daily recaps of the investigation. Police work does involve a higher degree of routine work than TV dramas suggest but I don’t necessarily need to see that mapped out in such detail as in this novel. It made the book feel longer than it needed to be. Overall however this was a highly readable novel and one I can see having a strong appeal to people who enjoy being challenged by the mystery of death but don’t need all the gruesome details. The Author: Guy Fraser-Sampson has a list of writing credits to his name including works on finance, investment and economic history. He is best known as the author of three novels in the Mapp and Lucia series created by E.F.Benson. Why I read this book: I received a review copy from the author in exchange for an honest review (which I hope this is). I don’t read a lot of crime fiction but now and again I get a hankering for something in that line. I am clearly not destined to be a detective however because I invariably pick the wrong person as the perpetrator and miss the significant clues along the way to their exposure. It doesn’t really matter as long as the writing is of a good standard and the plot doesn’t stretch credulity too much. What appeals to me about these books is they give me a chance to turn the dial down on the brain for a while. I’m not yearning for cosiness or the kind of book where it goes in one eye and out the other without touching the sides but I definitely want to be entertained. All three of the crime novels I’ve read this year have had something about them that lifted them above the ordinary though their styles couldn’t be more different. My love affair with Chief Inspector Gamache continues unabated. A Fatal Grace is book number two in the series by Louise Penny but the fourth I’ve read (I’ve not been reading in order). She takes us back to the Three Pines village, a Canadian community so small it can barely be found on the map. It’s a close knit community but there’s one person that the village has never taken to their heart: CC de Poitiers. This is a woman who alienated everyone from her husband and her sad, cowed daughter to her lover so there are not many tears shed when she is electrocuted during the annual curling event. But Armand Gamache is a man full of compassion and an understanding of human nature, skills which ably equip him to understand the undercurrents as he searches for the truth. A well written novel which kept me guessing (almost) to the end and entertained with its wonderful scenes set in the village’s cosy bistro. I admire the way Penny has developed these characters, giving them little quirks and tics but never descending to the level of caricature. She has also cleverly set up a storyline that is expanded in later novels about a threat from unknown forces to our beloved Chief Inspector. If you’ve not been introduced to Gamache, I recommend you remedy that soon. It’s taken me long enough to get around to reading The Mysterious Affair at Styles, the first novel to be published by Agatha Christie. It’s the novel that introduces Hercule Poirot to the world as a man with eccentric habits and a razor sharp mind. The story of The Mysterious Affair at Styles is rather simple by contemporary standards – just one death and that happens off stage so sparing us any ghoulish details. But it’s the way the novel evokes a particular time and place that I found more interesting. It’s written in 1916 when the world of the Edwardian landed family seems to be in its last stages. The multi-generational family living at the country house of Styles try to keep up their old way of life but the reality of World War 1 with its talk of war work, rumours of spies and shortages of essentials impinge on their comforts. Poirot himself has been displaced by the war raging in his native Belgium, finding refuge with a few of his countryman in a house owned by Emily Inglethorp, the matriarch of Styles manor house. It puts him in pole position when his benefactor is found dead inside her locked bedroom. Not a book that lovers of highbrow literary fiction will enjoy very much it was interesting to see where the legend of Poirot began. Both Penny and Christie give us professional detectives who possess an extraordinary ability to understand the forces that drive people to murder, maim and prey on the weak and defenceless. It’s often not the crime itself that intrigues them, but the character that lies behind it. The protagonist in my third novel isn’t a detective nor does he have any interest in the criminal mind. He doesn’t easily understand emotions in fact because Asperger’s Syndrome severely limits his emotional response to situations and makes it difficult for him to interpret other people’s behaviour. Patrick Fort is however fascinated by death, a fascination triggered when as a young boy he witnessed his father’s sudden demise in a road accident. His obsessive desire to know why someone dies takes him to a university anatomy course in Cardiff where he he looks for answers by dissecting cadavers donated in the interests of furthering medical understanding. After weeks of working on Corpse 19, the body of a middle-aged man, he is convinced the diagnosis given on the death certificate is incorrect. Few believe his claim that Corpse 19 did not die naturally but was murdered in a hospital high-dependency ward for coma patients. The introduction of a ‘detective’ with Asperger’s Syndrome has of course obvious parallels with Mark Haddon’s hugely successful The Curious Incident of The Dog in the Night Time. Rubbernecker uses a similarly emotionally disconnected voice but was rather more successful for me than Haddon’s protagonist. There are times when Patrick Fort’s lack of social skills result in some unintentionally funny scenes but we also empathise with his mother whose patience at her son’s behaviour has been tested to despair. There is a lot to appreciate in this novel though Bauer’s ambition seems to have led her to intersperse the narrative of Patrick’s quest with several other strands which don’t work as well. The most prominent is the narrative of a middle-aged car accident victim man who is trying to recover his voice and the use of his body after lying in a coma for many years. Then there is a story line of a nurse working in the same coma unit who sets out to snare the wealthy husband of a patient. The connection between these strands does eventually come together though it makes for some confusing reading initially. I’ll give credit to Bauer however for attempting to break new ground in the realm of psychological crime fiction. The shame is that we won’t get another chance to meet Patrick in any further novels. The lyrics of this Leonard Cohen song ‘Anthem’ provided the inspiration for the title of the ninth Chief Inspector Gamache novel by Canadian bestselling author Louise Penny. The cracks have steadily deepened over the course of the novels featuring the head of the Sûreté du Québec. How the Light Gets In sees the Chief Inspector in a particularly vulnerable position in his battle against the corruption he believes has penetrated to the heart of the police force. Most of his best agents have been despatched to other duties, replaced by a team that is hostile and insolent towards him. Of more personal concern to Gamache is the fracture in the previously close relationship he enjoyed with his police partner Jean-Guy Beauvoir. They had worked together for 15 years, Gamache as the mentor and then the prospective father in law, until a dramatic shoot out in the last novel, destroyed Beauvoir’s trust in his leader. Now he has gone over to Gamache’s arch rival, Chief Superintendent Francouer, a man with few scruples who callously manipulates Beauvoir into drug addition in order to further his plan to take full control of the Sûreté. Gamache is not the kind of man who will sit back and wait for this to happen. But after a potentially violent confrontation in police headquarters even his confidence wavers. Armand Gamache had always held unfashionable beliefs. He believed that light would banish the shadows… He believed that evil had its limits. But looking at the young men and women staring at him now, who’d seen something terrible about to happen and had done nothing, Chief Inspector Gamache wondered if he could have been wrong all this time. Maybe the darkness sometimes won. Maybe evil had no limits. Fortunately he still has a few friends in high places when he needs them. But none of them could ever have imagined the monstrous nature of Francouer’s real ambition and the revelation of a conspiracy that goes to the heart of the country. While How the Light Gets In develops into a battle between good an evil on an epic scale, Penny makes her readers wait for the denouement by introducing side stories that seemingly have no connection to the main plot. This main story involves the murder of an elderly woman who turns out to be the last surviving member of a set of quintriplets born during the Great Depression, whose lives were lived in a bubble of fame. Another narrative thread involves the suspected suicide of a middle aged government worker. Both events turn out to be connected though we don’t discover how until the final chapters of the book. As in many of the earlier novels in the series, the plot requires Gamache to return to the small village community of Three Pines and to renew his friendship with its inhabitants. Gabi and Oliver who run the bistro; Myrna the bookshop owner; Clara the artist and the acerbic highly talented poet Ruth Zardo all get roped in to help Gamache solve the murder. Their friendship with Gamache puts them in the path of danger however as the forces seeking to destroy Gamache follow him to this remote village. Can the villagers protect Gamache? Will Beauvoir be able to rescue his chief? Will Gamache ever see the light of goodness return? I’m not about to spoil the suspense by revealing the answers – you’ll just have to read the book for yourself. Read it for its carful plotting. Read it for its delightful portrayal of a community and its quirky inhabitants. But more especially read it for Penny’s subtle portrayal of her central character. We’re used to fictional police chiefs who have their faults and their demons. Gamache doesn’t come from the same damaged mould as Morse or Wallander but that doesn’t render him any the less interesting. He is a man who exudes kindness and respect; a man moreover of absolute integrity who believes that there is goodness in the world and its his job to make sure it never gets extinguished. Armand Gamache had always held unfashionable beliefs. He believed the light would banish the shadows. That kindness was more powerful than cruelty, and that goodness existed, even in the most desperate places. He believed that evil had its limits. 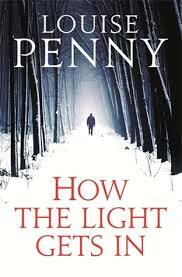 A new edition of How the Light Gets In was published in paperback in the UK in November 2014. Thanks to Little, Brown Book Group UK for providing me with an advance copy via NetGalley. Many of the earlier books in the series can be read out of sequence but before reading How the Light Gets In you’ll want to read its predecessor The Beautiful Mystery which explains the breakdown between Gamache and Beauvoir. Inspector Montelbano is one of those television series that starts off in the quieter hours of BBC programming, often on a fringe channel because the schedulers are not really convinced it will be popular with viewers. Initially it had a bit of a cult following but gradually it gained traction as word got spread around by what Malcolm Gladwell calls “the mavens” The viewing numbers kept rising until it became pretty clear that the adventures of a brooding Scilian detective could be “the next big thing”. All of this completely escaped my notice since I’m not a big TV viewer and hardly ever look at the upcoming schedules. By the time I got to see an entire episode, the BBC was already showing series three of the original Italian production and the number of visitors to film locations and places mentioned in the books had shot up. Just as the Inspector Morse series gave a tourist boost for Oxford ( though it hardly needed it with all those cupolas and spires) and Brother Cadfael did the same for the town of Shrewsbury on the Wales/England border, the character of Montelbano based on the novels of Andrea Camilleri has created another book induced tourism trail. As much as I’ve enjoyed tv series like Morse and Cadfael I found the books upon which they were based to be very insubstantial and unsatisfying fare so I wasn’t planning to read any of the Montelbano books. But then I but heard an episode about Camilleri in a BBC radio programme on European masters of crime fiction in which he was described as a writer who weaves social and political commentary into his novels. it sounded as if his Montelbano creation would be more than a straightforward crime novel, so I decided to take a closer look. An article by the Guardian in which Camilleri said that social commentary was always his aim and that he “deliberately decided to smuggle into a detective novel a critical commentary on my times,” was all it took for me to rapidly download a few of the series onto the e-reader. I decided to read two of the more recent titles by which time the character of the police offer would have been firmly developed. 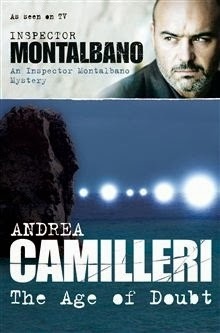 I’ve now read two of the Inspector (or to give him his official titlle, Commissario) Montelbano titles that have been translated into English. Number 14 in the series is The Age of Doubt which opens with the Inspector in a dark mood one morning after a dream in which he sees his own death and funeral. The day turns steadily worse with a storm and then the discovery of a disfigured body in the water near Vigàta. Something is decidedly fishy about the occupants of a nearby luxury yacht. Soon Montelbano is on the trail of diamond smugglers though he can’t give the problem his full attention because there is a rather dishy harbour authority lieutenant that has caught his eye. Number 15 is Dance of the Seagull which also opens with an omen though of what Montelbano isn’t sure. As the Inspector sits in his porch watching the dawn lift, he sees a seagull fall from the sky, then perform a strange dance before lying down to die. It is not the best start to his intended holiday with girlfriend Livia. The holiday however has to be postponed when news arrives that his close colleague Fazio has failed to return home. It transpires the policeman had been involved in a secret investigation into smuggling and murder. 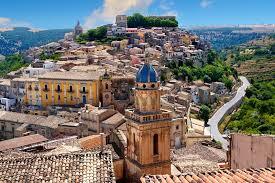 This being Sicily there is the inevitable Mafia connection with which Montelbano has to contend in the desperate search to find his friend and potentially save his life. Both novels move at a fast pace and involve a multiplicity of set pieces which would be a dream for any location scouts and directors. The political and social commentary aspect comes through in Montelbano’s frustrations with the bureaucracy that gets in the way of his investigations and with the way nothing seems to happen on time or as planned. Was there anything whatsoever in Italy that left or arrived at the scheduled time? The trains ran late, the planes did too, the ferries required the hand of God to sail, the post we won’t even mention, the buses actually got lost in traffic, public works projects were usually off by five to ten years, any law whatsoever took years before it was passed, trials in the courts were backed up and even television programmes always started a good half hour after the scheduled time…. This is a sentiment that will be familiar to anyone who has holidayed in Italy (it’s even more evident in Sicily where I recall my guidebook comment that local citizens consider laws to be merely ” suggestions”). Our Commissario isn’t impressed with any aspect of Sicilian life but politicians and the media generate some of his strongest feelings. No matter what they do, our elected representatives don’t give a **** about public opinion!. They take drugs, go to whores, rob, steal, cheat, sell themselves, commit perjury, make deals with the Mafia, and what happens to them? The newspapers talk about it for, oh three days maybe? Then everybody forgets about it . Italy is a Democratic Republic, founded on work. Sovereignty belongs to the people, which exercises it in the forms and within the limits of the Constitution. Italy is a republic founded on selling drugs, systematic lateness, and useless chatter. This portrait of a man who is completely disenchanted with bureaucracy and with public services is one that will strike a chord with many readers even outside of Italy and was one of the most enjoyable aspects of the book. Equally enjoyable although in a more vicarious way sadly was the way Camillieri tantalises us with descriptions of the meals enjoyed by the Inspector. Salvo Montalbano is passionate about food – he loves to eat and in copious quantities – so if he is not looking in the fridge of his apartment to see what his housekeeper has prepared for him, he’s dropping into his favourite local trattoria to wolf down pasta, calamari, mussels, sole, shrimp. Just reading this book you feel your own waistline beginning to stretch. The one aspect of these books that didn’t quite work for me was the character of Catarella, the desk sergeant whom Montalbano frequently finds unintelligible because he manages to mangle even the most basic of instructions and messages. I see how this is meant to be funny but the humour relies on showing in English the huge gulf between what Catarella should be saying and what he actually says. How would that work in the original Italian which is the language in which Caterella would clearly be conversing. For all that however, and the fact the plots are a bit formulaic, I enjoyed the characterisation of the moody, pedantic, bad tempered detective with his wry take on life. If you’re interested in discovering more about Andrea Camilleri, the Guardian and the Wall Street Journal have interesting background articles about his life and work.